Adventure motorcycling and long-distance cross-country touring are in vogue, with more and more enthusiasts coming up with the idea of exploring. To quench that thrust, here’s a list of upcoming adventure tourer bikes that includes the Benelli TRK 502, Hero XPulse 200, KTM 390 Adventure, Royal Enfield Himalayan 650 and the UM DSR Adventure 200. The Benelli TRK 502 will be available in two variants - Standard (502) and 502X (pictured). The Benelli TRK 502 and the TRK 502X will be launched in India on 18 February 2019. Both the motorcycles will be imported as CKD kits and will be assembled at the company's Hyderabad facility. While the TRK 502 is a long-distance tourer with alloy wheels and road-biased tyres, the TRK 502X is an outright adventure tourer that features wire-spoke wheels and knobby tyres. The Benelli TRK 502X additionally gets panniers with saddle stays and a top box as an option. Powering the Benelli TRK 502 range is a 499.6 cc, parallel-twin cylinder, liquid-cooled engine that pumps out 46 bhp of power and 45 Nm of peak torque. It works with a 6-speed gearbox. The TRK 502 is equipped with 17-inch alloy wheels at both the end, while the 502X features 19-inch front and 17-inch rear setup. Braking duties are carried out by dual discs at the front and a single rotor at the back with standard dual-channel ABS. The Benelli TRK 502 will compete with the likes of the upcoming KTM 390 Adventure, Kawasaki Versys 650, SWM Superdual T and the Suzuki V-Strom 650XT. We can expect it to be priced around INR 5.5 lakh (ex-showroom). The Hero XPulse 200 will be the most affordable entry-level ADV in the market. Hero MotoCorp will also introduce the XPulse 200T alongside the adventure tourer. The Hero XPulse 200 will reportedly be introduced in India by the end of this month or March 2019. 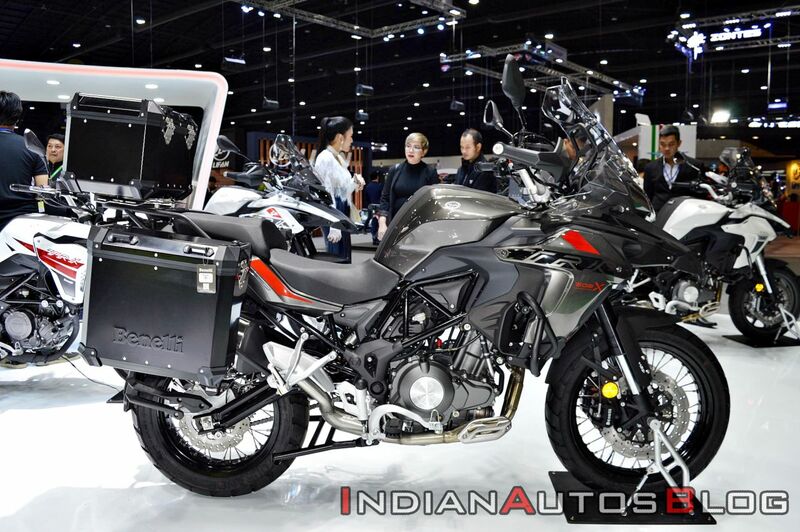 Once launched, it will be the most affordable adventure tourer in India. 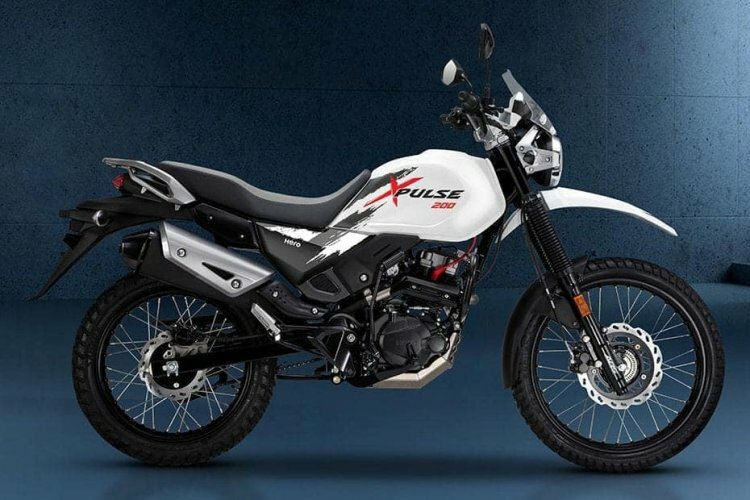 The company has hinted that the XPulse 200 bike will be priced around INR 1 lakh (ex-showroom). The Hero Xpulse 200 shares its diamond frame, engine and other mechanical components with the Hero Xtreme 200R. The motorcycle made its global debut at EICMA 2017 and was showcased in India at the Auto Expo 2018. Powering the Hero XPulse 200 will be a 199.6cc SOHC, 2-valve, air-cooled motor that will be paired with a five-speed gearbox. The engine develops 18 bhp and 17 Nm on the Xtreme 200R. The off-road credentials of the motorcycle will be helmed by 21-inch front and 18-inch rear wire-spoke wheels that will be paired with knobby tyres. The bike will feature an LED projector headlight, fully digital instrument console, and wind deflector and single-channel ABS. KTM 390 Adventure R - IAB Rendering. The KTM 390 Adventure will debut at the EICMA 2019 in November 2019 and is likely to be launched in India by the end of this year. The India-spec motorcycle has been spied testing in January, which reveals the design and equipment that will be offered on the bike. Unlike the global test bikes, the India-spec KTM 390 Adventure prototypes feature alloy wheels that are paired with dual-purpose knobby tyres. KTM India is expected to introduce two versions of the motorcycle in India, a road-biased model with alloys and a good off-road variant with wire-spoke wheels. 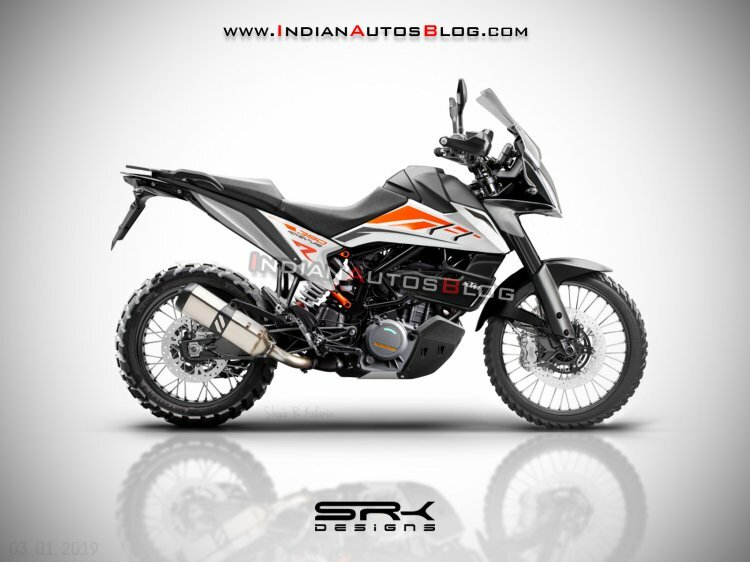 Based on the spy media and leaked images, here's a digital rendering of the KTM 390 Adventure, created by IAB's in-house visual artist. The KTM 390 Adventure will feature a high-set bikini fairing with vertically stacked LED headlights, LCD TFT instrument console with Bluetooth Smartphone integration, long travel suspension, 19-inch front and 17-inch rear wheels with dual-purpose tyres and a dual-channel ABS unit with an off-road mode. A rear parcel rack will be standard, while saddle stays and luggage accessories like panniers and top-box will be available as optional fitments. The KTM 390 Adventure will employ a 373.2 cc, liquid-cooled, single-cylinder engine that will be mated to a 6-speed transmission. The motor produces 43 bhp and 37 Nm on the KTM 390 Duke. The motorcycle is expected to retail circa INR 2.60 lakh (ex-showroom) and will rival the BMW G 310 GS, Kawasaki Versys-X 300, Royal Enfield Himalayan and the Benelli TRK 502. 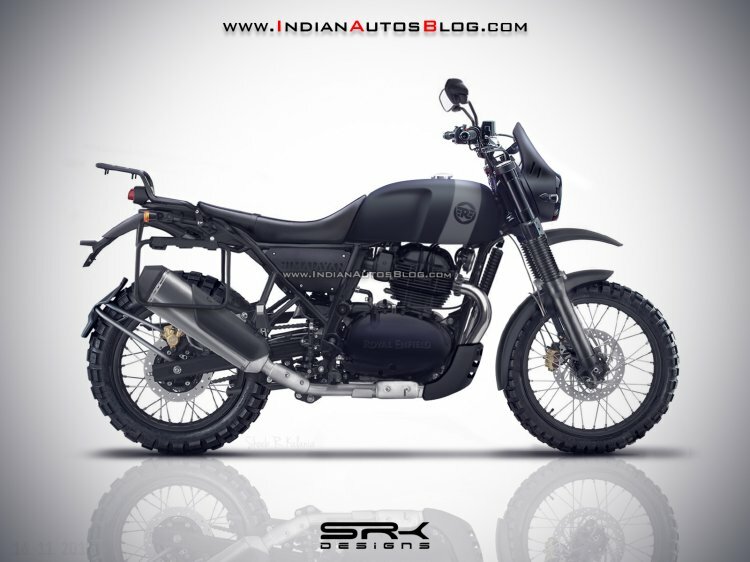 Royal Enfield Himalayan 650 - IAB Rendering. When Royal Enfield's CEO, Siddhartha Lal revealed in May 2017 that the company is working on a bigger Himalayan 650, the motoring junta, including us were excited like kids. However, Mr Rudratej Singh (Rudy), former President - Royal Enfield, confirmed to us that the development of the Himalayan 650 is put on hold. As a result of the paradigm shift in the emission norms from BSIV to BSVI, Royal Enfield is the process of making its entire product line-up BSVI compliant before April 2020, which has put a hold on new product development. That said, we can expect the Royal Enfield Interceptor 650 to be launched in India latest by end-2020 or early to mid-2021. The Royal Enfield Himalayan 650 is likely to be underpinned by a strengthened version of the half-duplex split-cradle chassis that does duty on the Himalayan 410. The motorcycle will employ 648cc, oil-cooled, SOHC, parallel-twin 8-valve engine that will be mated to a 6-speed gearbox. On the 650 Twins, the motor draws 47 bhp and 52 Nm of power output. A slipper clutch and dual-channel ABS will be standard fitment on the Royal Enfield Himalayan 650. Considering the aggressive pricing of the 650 Twins, we can expect the motorcycle to be launched under INR 3 lakh (ex-showroom). The UM DSR Adventure 200 will be launched at INR 1.39 lakh (ex-showroom Delhi). 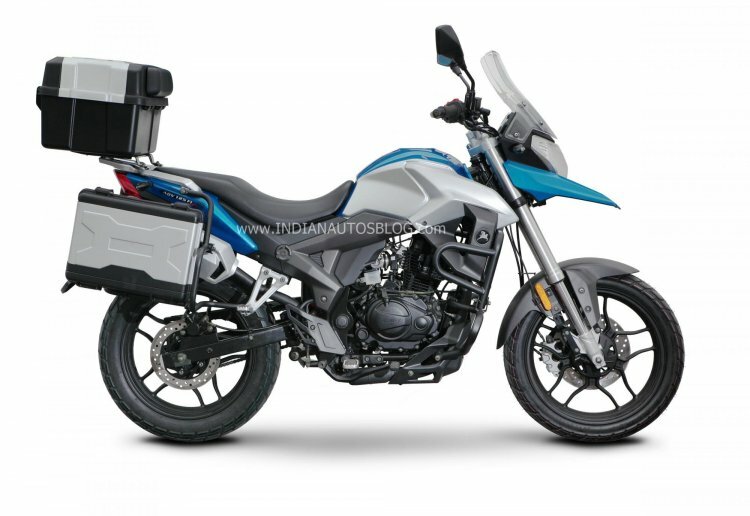 The UM DSR Adventure 200 will be an entry-level ADV from the American bike maker that will compete with the Hero XPulse 200. It will be launched in India at INR 1.39 lakh (ex-showroom Delhi). The DSR Adventure 200 was spied in India for the first time in December 2018. The UM DSR Adventure 200 features long-travel suspension with USD forks at the front and an adjustable mono-shock at the back. The ADV will ride on 17-inch alloy wheels, while braking power comes from disc brakes at both the ends with single-channel ABS. The motorcycle features a 14-litre fuel tank. Optionally, it will get panniers, mounts and top box as an option. The UM DSR Adventure 200 draws power from a 196cc, 2-valve, single-cylinder, air-cooled engine that delivers 16 bhp of power at 8,500 rpm and 16 Nm of peak torque at 6,500 rpm. The motor will come coupled with a six-speed gearbox. The bike is expected to be launched in India in the coming months.